What size bike frame do I need? When you’re buying a new bike, choosing the frame size is where it all begins. A good fitting bike will increase efficiency, comfort and handling from start to finish on the ride. This guide will offer help to allow you to use bike size charts to get the perfect frame size for you. To work out the perfect frame size for you, you’ll need to measure your height and inside leg – then match this to the frame size recommended in the manufacturers bike size charts. Will bike sizes be different for different kinds of bike? Different manufacturers can often use different frame sizes or units. They can also vary depending on the type of the bike. A good example of this is road bikes are generally measured in centimetres, but mountain bikes come listed in inches. Some companies, such as Giant, will list the bikes as Small, Medium, Large etc. but they can vary. So make sure you check the size chart after getting your measurements. Stand up straight with your back against the wall, shoulders back touching it and your legs together. Make sure you look straight in front of you and that you are on a flat surface. Then make a mark on the wall where the top of your head is. Don’t forget to take your shoes & any hats off for an accurate measurement. Also ensure the pen/pencil you mark with is parallel to the floor. While you’re stood with your back to the wall with your shoes off, place a ruler, book or similar between the top of your legs touchingthe point you’d sit on a saddle. Make sure it’s parallel to the ground then kindly ask a friend to measure the distance from the floor to the top of the book/ruler. This will give you your inside leg measurement. Yes, generally the women’s ranges have different frame sizes to the unisex ones although they’re typically measured in the same way. Stereotypically women have proportionally longer legs than men – this is accounted for in the frame so bike has a different geometry. Shorter top tubes accommodate for this allowing female cyclists to feel more comfortable and less stretched out. This won’t affect the saddle height or stand-over clearance so the size guide is relevant for both women’s mountain and road bikes. I’m between sizes, should I go up or down? Quite often you’ll fall between sizes on the chart, meaning you would fit one of two options. Often you might think this is quite an awkward situation to be in, although we’d say consider yourself lucky! The think about riding a bike is that you need to be comfortable, and efficient. Some people ride exceptionally well on a small frame as it will handle differently. Most of which you choose will be personal preference but we’ll give you a few things to think about. Road bikes – smaller could be better. It’s easier to make a small big bigger than it is a big bike smaller. Longer stems & saddles can help with this, but you can’t cut half the frame off. Mountain bikes – larger could be better. Feeling cramped is not what you need and handling is the most important thing here. By adding a longer stem you can really detract from the handling of the bike, meaning a larger bike is the way to go. *For model specific sizing please check the product page. **This guide should be used as a guide only. Bikes can vary in geometry and sizing from different manufacturers. If you have any issues or queries on which bike will fit you best our specialist customer service team would be more than happy to help you. 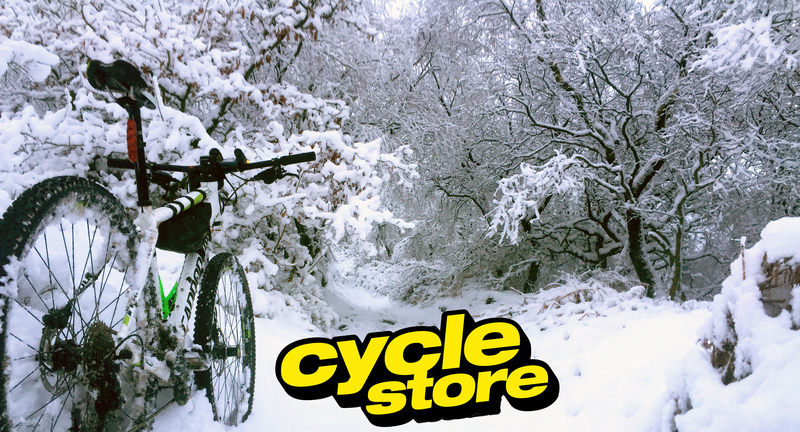 Don’t hesitate to call us on (+44) 01260 275554 or email sales@cyclestore.co.uk.